Merry Christmas dear readers! I've always been the kind of person that if someone celebrates a holiday that I do not and they wish my a good one, I feel really special. It's nice to be included in any kind of well wish, ya know? So I hope that if you are not celebrating Christmas that your day is wonderful none the less. I'm having an alright kind of day. I always find the holiday a bit exhausting to be honest. It's an introvert's curse I think. Having to open gifts in front of people is really stressful. Worrying I'm going to ruin the pie or the potatoes or the ham or the... yeah, all the cooking makes me nervous. Not including all the cleaning and decorating both before and after. Add in that we've got a kid in the hospital and it's just been such a long week I'm ready to put my jammies back on and curl up with a book. I did get wonderful gifts though. Lots of Captain Phasma loot. I know everyone is always talking about wanting books for Christmas but I actually prefer not to get them. I just like buying my own books. I can't be the only one right? 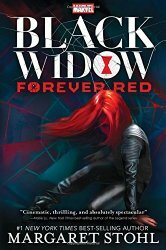 This weekend I'll be finishing Black Widow Forever Red by Margaret Stohl which I have to admit has been a pretty big disappointment for a lot of reasons. Not sure whether I'll review it or not but it's certainly possible. I wish I could say it was that I had high expectations of it and then it just didn't meet them but mostly it just went in a direction that really seemed silly. 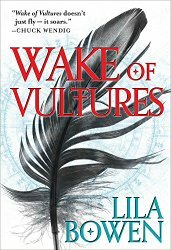 After I finish it I think I will either start Wake of Vultures (The Shadow #1) by Lila Bowen or Burn by Elissa Sussman. Hmmm, read an ARC I have for review or one I paid monies for? lol Always a tough call. What are you reading this weekend? Maybe a new book you got as a gift? I like the events surrounding the holiday and getting gifts for other people and all that, but the actual DAY of Christmas? Not really a big fan of that. I can be exhausting, like you said. Sorry Black Widow is a disappointment; I've heard some negative things too and I was so hoping it would be a good one! Now that it's the day after I'm just groaning at all of the decoration tear-down and pack-up I'm going to have for the next week. 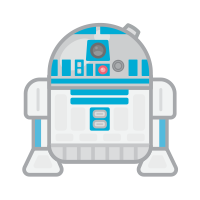 lol I enjoy having it all up but having spent my late teens and early twenties working in a Hallmark store where we have Christmas stuff up 6 months out of the year I always want everything put away ASAP after the holiday. I can't stand seeing it past the new year. Grab the nicest naughty new reads from Brazen!